Cofounder & CEO of Mammoth Trading Inc.
Richael specializes in water valuation, risk, strategy, and market design. As an economist, engineer, and entrepreneur, she brings together complementary skillsets for water resources management and policy. 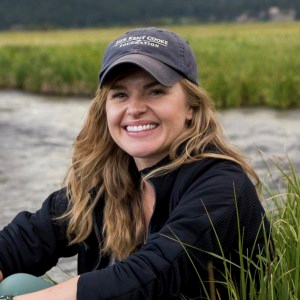 She strives to create tailored and cost-effective solutions to pressing water security problems that achieve local economic and environmental goals. In 2014, Richael cofounded Mammoth Trading, where she serves as CEO. In this capacity, she led the development and implementation of the first smart markets, or algorithmic clearinghouses, for surface water and groundwater in the world. Richael has presented her work at the first-ever White House Water Summit, at World Water Week in Stockholm, and at the Imagine H2O Water Policy Challenge. Richael holds a B.S. in civil engineering and M.S. degrees in agricultural economics and environmental engineering from the University of Illinois at Urbana-Champaign.